As I’ve said many times before, I absolutely love small knives. I think they are the most useful all around knife simply because you’ll always have it on you. 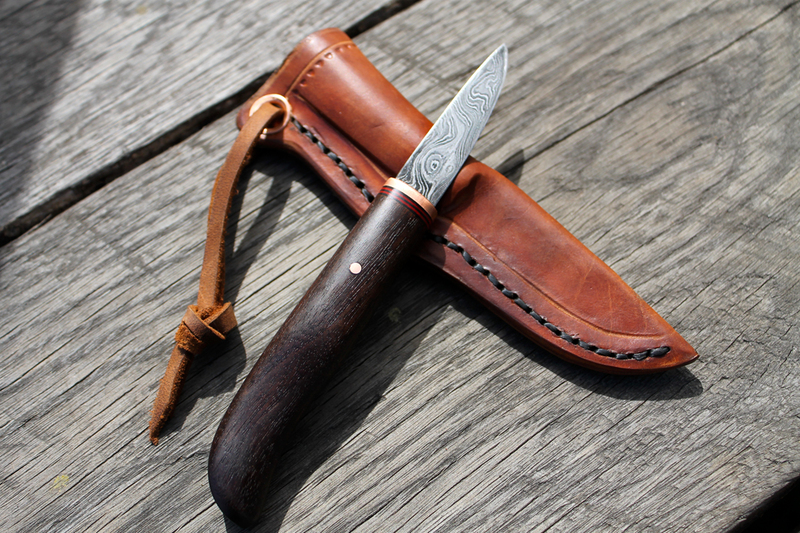 Unlike big blades (which absolutely have their own place) small knives can be slipped into a pocket or a bag and be ready to go when you are. This knife is no exception. 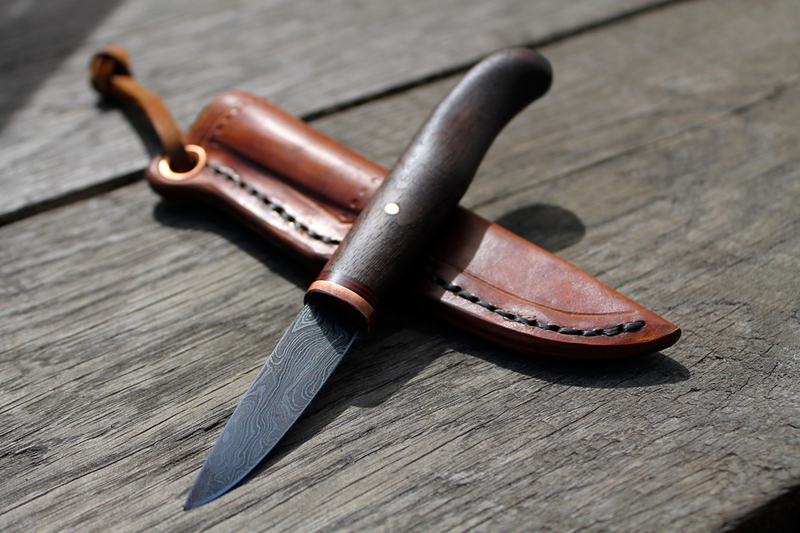 It has a 2.5″ pattern welded blade, and a 4″ walnut handle with a copper bolster and black and red spacers.